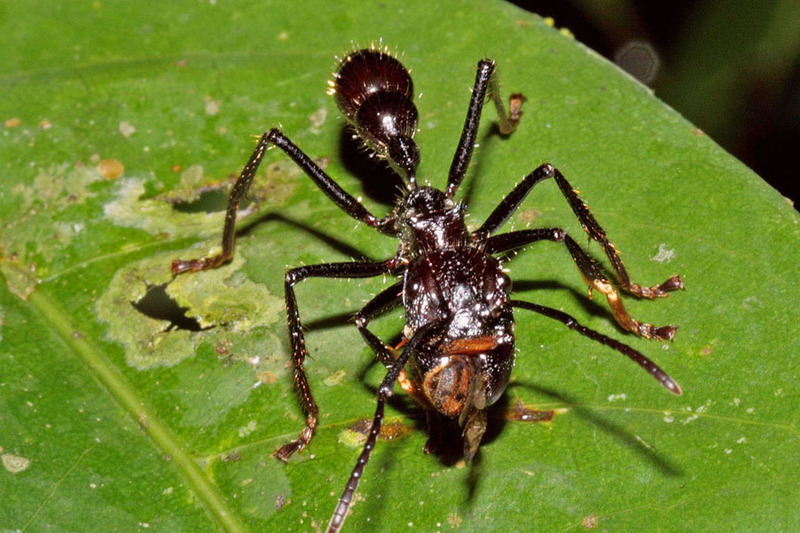 A 4 cm long 'izula' or Bullet Ant, Paraponera sp. The ants of Panguana are a mega hit! The more than 520 species found so far make this the most diverse of all comparable faunas worldwide. 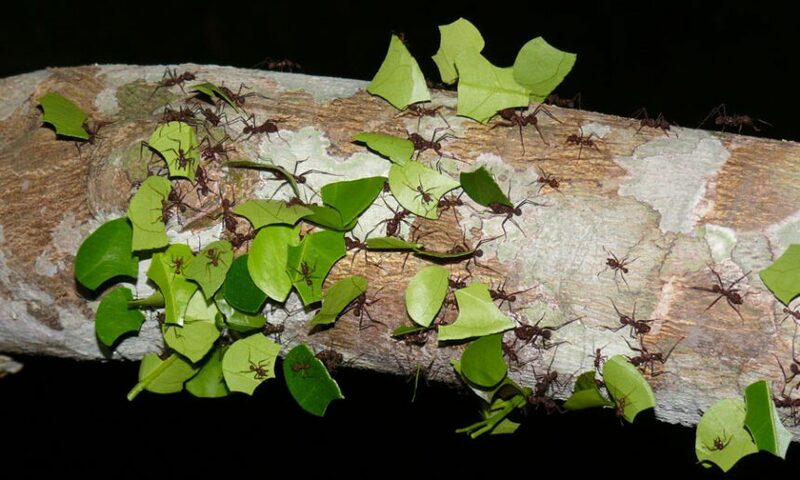 A current special research focus is on the leafcutter ants with their large underground nests and fungus gardens.